The University of South Alabama was re-designated as a National Centers of Academic Excellence in Information Assurance / Cyber Defense Education (CAE-IA/CD) in December 2014. This designation is awarded to institutions after a rigorous review for programs that have demonstrated their commitment to academic excellence in Information Assurance education. USA's Center for Forensics, Information Technology, and Security (CFITS) supports the educational and research endeavors of the CAE-IA/CD program. CFITS faculty support the undergraduate information assurance program curriculum development and research initiatives. We have established research groups in Information Security, Computer Forensics, and Healthcare Information Systems. Courses in the Information Assurance program satisfy the national standards set by the National Security Agency. Students who complete the courses specified by the program are uniquely qualified to serve in Information Assurance positions within federal, state, and local government. Students may also fulfill their obligation by working in a National Research Laboratory or a Federally Funded Research Development Center. 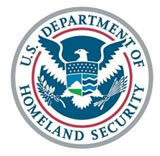 The Scholarship for Service (SFS) program offered by the National Science Foundation (NSF) and the Department of Homeland Security (DHS) provides scholarship funding for students in exchange for service in a government position for a period equal to the length of scholarship funding, typically two years. Students awarded an SFS scholarship participate in a paid summer internship at a federal, state, or local government agency and become part of the Federal CyberCorps, whose mission is to ensure the protection of the US Government’s information infrastructure. Upon graduation SFS scholars are required to serve in a paid information assurance position in federal, state, or local government.